DJ Donpasta Wants to Save Salume for Posterity. Who can blame him? On a recent brisk March afternoon, he came to this fishing town on the Amalfi Coast and stood amid rows of homemade pork sausages, some covered in hot pepper flakes, that were strung from the low ceiling of a work space. “What do you put in — do you put in the ear?” he asked Antonio Polverino, the sausage maker. Cooking shows like “Master Chef,” which has been replicated in Italy, “take away someone’s awareness, his identity,” he said. He pointed to the coastline. Mr. De Michele’s research is sponsored in part by the Bologna food association Artusi, named after Pellegrino Artusi, the author of an 1891 cookbook that was one of Italy’s first. He has asked Italians to send in their old family recipes to his blog, Artusi Remix. The end result of his travels will be a book commissioned by the Italian publisher Mondadori. But he is also traveling with a videographer for a possible documentary — and for his trademark performances, which often combine a D.J. set with monologues about food and footage of people talking about food traditions. 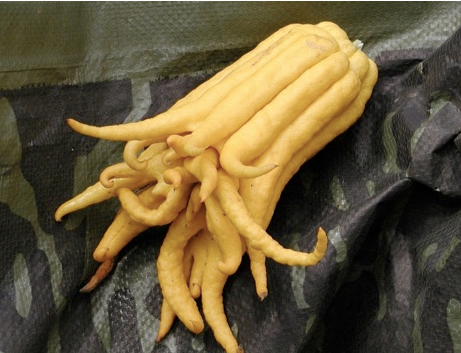 The Future of Farming: Big, Small, or Practical? In late 2013 and early 2014, journalists, pundits, and food activists lamented the woes of the “farm bill,”that every-five-or-six years episode of Capitol Hill wrangling and handwringing over subsidies, SNAP, food stamps, and milk supports (the arcana of which almost no one understands). While it’s easy to dismiss the squabbling as Beltway insider baseball, the debate over details stands as a proxy for a struggle over the future of American agriculture. On one side of the conflict stand the members of Team Big. They support an “industrial” model of farming that includes large scale, specialization, and the use of technologies like concentrated agricultural feeding operations (CAFOs), specialized seeds, and genetically modified organisms. On the other side stands Team Small: Reformers who argue that industrial agriculture is bad for people, animals, and the environment. They want to replace it with small-scale, family-owned-and-operated farms that rely less on “inputs” and more on nature and are oriented to local rather than national and global markets. I’m not a betting woman, but if someone demanded my money or my life, I’d bet on Team Big. Not because I believe that the industrial model is inherently superior, but because Team Small’s boutique-like alternative ignores the structural and historical realities that the industrial model was designed to address. Yes, in our affluent society, there’s room aplenty for the niche agriculture favored by Team Small. But as a foundation for agriculture as a whole, history shows that it cannot succeed. For four centuries, domestic and global demand has shaped both the form and texture of American agriculture. Even in the earliest years of the colonial period, farmers strove to produce beyond subsistence, knowing that they could sell excess crops and meat in a global market. In the wake of the American Revolution, global opportunities expanded apace but farmers confronted a monumental new task: feeding a non-food-producing urban population. In 1820, only about seven percent of Americans lived in town; a century later, more than half did. Ideas and tools that served agriculture in the nineteenth century proved useless in the twentieth. Worse, the nation’s farmers, their numbers dwindling by the decade, were hobbled by chronic labor shortages, the consequence of Americans’ preference for city life. As cities grew in both size and number, farmers competed for land with developers eager to build houses, highways, and hotels. Congress cobbled together a collection of “subsidy” programs, but those were not enough to address agriculture’s structural needs. The turmoil prompted a prolonged national discussion about how to use government, science, and technology to help farmers serve the nation and the world. That discussion led Americans to what seemed then a logical solution: farmers should adopt the industrial, factory-like mode of production employed in other sectors of the economy. That model consisted of large scale, specialization, vertical and/or horizontal integration, automation, and any and all tools that science could supply. Farmers obliged. Livestock producers, for example, coped with shortages of labor and land by moving cattle and hogs off expensive pasture and into confinement, using automation to feed and water their animals. Short-handed crop farmers trying to coax high yields from marginal lands turned to inputs such as commercial fertilizers, hybrid seeds, combines, and mechanical irrigation systems. In the 1950s, Harvard agricultural economist John H. Davis coined the term “agribusiness” to describe the new agriculture’s intimate relationship to the rest of the economy. As a neutral descriptive, however, that word enjoyed a short history. In the early 1970s, rural activists inspired by Ralph Nader’s crusade against corporate power commandeered the term. In their hands, agribusiness was the enemy and the target of a crusade to combat [alleged] corporate control of agriculture. Today’s Team Small is the grandchild of that crusade. Like their activist ancestors, they regard corporations as the enemy. They reject the industrial model on grounds that small and “natural” is better for the environment, for our diets, and for the national soul. But Team Small’s proposals fail to acknowledge the ways in which agriculture anchors the economy as a whole or that industrial agriculture was born as a solution to real problems. Eliminate the model in favor of boutique farmsteads, and the loss will ripple through not just the U. S. economy, but the lives of those around the world who rely on the products from American farms. We Americans enjoy the wisdom of a rich agricultural past. Historically, agriculture has attracted the nation’s best minds, men and women who eager to reinvent and reimagine the agricultural ideal. Our long commitment to agricultural productivity has also shaped national identity: We were the people who supplied beef to Europe after disease wiped out most of that continent’s cattle herd in the 1870s. We were the people whose grain helped end Asian famine in the 1890s. We were the people who fed millions around the world in the dark days that followed World War II. And our ancestors’ willingness to re-imagine agriculture freed one generation after another to focus on education, manufacturing, and science. Today we enjoy the luxury of debating agriculture in part because we need not spend our days growing and processing food. By all means, let’s ponder agriculture’s future. But let’s make sure that the discussion addresses the practical realities that farmers must face. Nationwide, consumers will purchase around 736 million pounds of turkey this Thanksgiving, of which about 581 million pounds will be actual meat. The USDA reports that 35% of perfectly good turkey meat in the U.S. does not get eaten after it is purchased by consumers (and that’s not including bones). This compares with only 15% for chicken. Why is so much more turkey wasted than chicken? “Possibly because turkey is more often eaten during holidays when consumers may tend to discard relatively more uneaten food than on other days,” the USDA writes. And unless we take action to prove the USDA wrong, we’ll be throwing away about 204 million pounds of that meat and about 1 million tons of CO2 and 105 billion gallons of water with it. 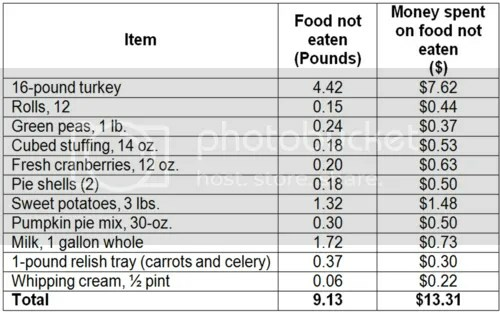 Per pound, the resources needed to produce that turkey are equivalent to driving your car 11 miles and taking a 130-minute shower (at 4 gallons/minute). * The price tag on that nationwide will be $282 million, according to prices from the Farm Bureau’s annual Thanksgiving price survey. And that’s to say nothing of the vast amounts of antibiotics used to produce turkey meat, leading to antibiotic resistance, which you can read more about here. Here’s a hint: Buy less than you think. If you’re hosting anything like the average Thanksgiving dinner for ten, almost a third of that dinner will go to waste this year. In fact, across the nation, about 204 million pounds of turkey will get thrown away over this Thanksgiving. This costs us money – about $277 million as a nation – and is a waste of all the resources it took to get that turkey to our table. Resources for which, in theory, we are supposed to be celebrating on this exact holiday! How many resources? Depending on which estimate you use, that amount of discarded turkey required over 100 billion gallons of water – enough to supply New York City for 100 days — and created somewhere between 230,000 – 1 million metric tons of CO2 equivalent emissions. This Thanksgiving, you can do your part to support farmers who are keeping antibiotics working for people by shopping smart. By choosing USDA Organic or turkey sold under a “No Antibiotics Administered” label, consumers can reward turkey farmers who are using best practices. Under the organic standard, meat producers are not allowed to use antibiotics, with some exceptions. The “No antibiotics administered” or similar labels, such as “No antibiotics ever” are regulated by USDA but are not verified. These claims are more reliable if they are coupled with a “USDA Process Verified” seal. Also consider other labels, such as “animal welfare approved” and “certified humane,” which mean that antibiotics were only used to treat sick animals. But shoppers beware: “All Natural” has nothing to do with how an animal is raised. WASHINGTON — Nearly 1 million chickens and turkeys are unintentionally boiled alive each year in U.S. slaughterhouses, often because fast-moving lines fail to kill the birds before they are dropped into scalding water, Agriculture Department records show. Now the USDA is finalizing a proposal that will allow poultry companies to accelerate their processing lines, with the aim of removing pathogens from the food supply and making plants more efficient. But that would also make the problem of inhumane treatment worse, according to government inspectors and experts in poultry slaughter. Thanks to the U.S. Department of Agriculture (USDA), ever the mindless booster of corporate profits, that turkey at the center of the table already disappoints both expectations, and if USDA has its way, matters are about to get much worse. Hiding behind disingenuous promises to “modernize” the food safety system, USDA has decided to pull federal food inspectors off the line at poultry processing plants across the nation. No new preventative measures to ensure that poultry is free of salmonella would happen. And already crowded, bloody, stinking lines would speed up dramatically — to as many as 175 birds per minute, or three birds/second. Workers who suffer grave ergonomic injuries from the repetitive motions of hanging, cutting, and packing the birds would endure conditions that are two or three times worse than the status quo. Tester (D-Mont.) also asked U.S. Agriculture Secretary Tom Vilsack to suspend agreements with foreign countries that are now allowed to use the alternative inspection program for meat they import into the United States. Millions of pounds of contaminated meat from plants using the system were either recalled or rejected by USDA inspectors over the past two years. Butterball is vague about the reasons for the shortage, citing only a “decline in weight gains on some of our farms.” In other words, the turkeys that Butterball’s contract farmers raise aren’t growing as quickly as expected. Let’s talk turkey! Tom Philpott will be holding a live Twitter chat the Thursday before Thanksgiving—look him up at @TomPhilpott starting at 3:00 p.m. Eastern, November 21. Ask him anything—from cooking tips (two words: dry brine) to the latest dirt on industrial turkey. This is odd. If there’s one thing the modern poultry industry has mastered, it’s fattening millions of fowl extremely quickly. And turkeys have been getting bigger and bigger for decades. 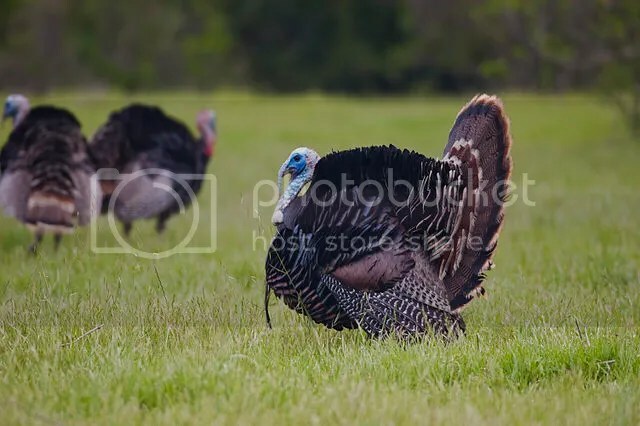 “[T]urkeys have increased in average weight annually for at least the past 40 years,” the US Department of Agriculture revealed in a 2005 report. The USDA added that the average weight of a turkey at slaughter jumped from 18 pounds in 1965 to an enormous 28.2 pounds in 2005—a 57 percent increase. By 2012, the average had inched up to a hefty 29.8 pounds. This is not an industry that’s typically plagued by size issues. Why is Illinois the pumpkin state? Mostly because Libby’s brand is the canned pumpkin king. The company is owned by Nestlé and says 8 of every ten cans of pumpkin sold last year was Libby’s. So it comes down to fertile pumpkin soil – and gravity. The colonists supplied the fowl, including, possibly, duck, geese, and turkey. For almost 60 years, adventuresome carnivores from all over New England have lined up outside the white-steepled United Church of Christ in the center of this close-knit hamlet along the Connecticut River. A couple of decades ago, volunteers fed 1,200 people in one day, but that proved unworkable, so now seats, reserved well in advance, are capped at 800 for $25 a plate. Proceeds benefit the church’s capital fund, and charity. My view is why mess with what works? For important occasions, the rule is: go with what works. And of all my years roasting a turkey, I’ve found that the braise/roast method works best, as I wrote last year. The reason is that this method solves the two great Turkey Conundrums: 1) how to have both juicy breast meat and tender dark meat, and 2) how to serve it all hot to a lot of people. Three years ago, I was chatting with my neighbor, the excellent chef Doug Katz (Fire Food & Drink), and he described how he cooks the turkey in stock up to the drumstick so that the legs braise while the breast and skin cook in dry heat. Last year I tried it and it works brilliantly. A few years back, when she was the director and librarian of the Pilgrim Hall Museum, Peggy Baker came across a fascinating document at a rare book and ephemera sale in Hartford, Connecticut. 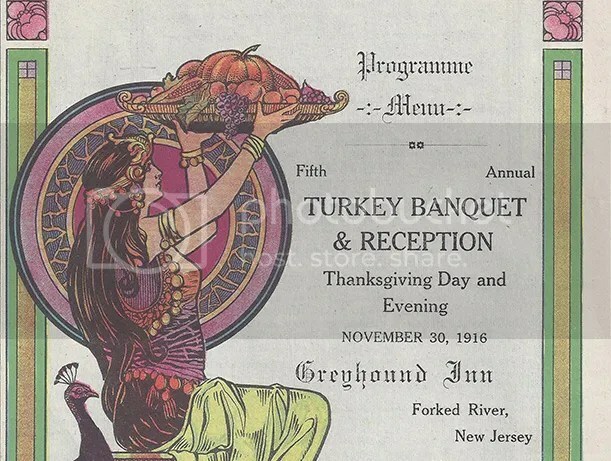 It was a four-course menu for a luxurious dinner at the Hotel Vendome in Boston for November 29, 1894 – Thanksgiving. Appetizers consisted of Blue Point oysters or oyster crabs in béarnaise sauce. The soup is consumee Marie Stuart, with carrots and turnips; or, a real delicacy, terrapin a la gastronome (that’s turtle soup to you). The choice of entrees included mousee de foie graise with cauliflower au gratin, prime ribs with Yorkshire pudding, Peking Duck with onions and squash and…a nod to the traditionalists…roasted turkey with cranberry sauce and mashed potatoes. Then, salad—at the end of the meal, as they do in Europe—followed by a plethora of desserts: Petit fours, plum pudding with maple brandy sauce, Neapolitan ice cream; mince, apple and pumpkin pie, and almond cake with maple frosting. To round out the meal, coffee or sweet cider with assorted cheeses and nuts. Baker’s discovery of this belt-busting tour de force sent her on a mission to shed light back on a long forgotten chapter of the history of this holiday; a time when wealthy Americans celebrated their Thanksgivings not in the confines of the home with family, but at fancy hotels and restaurants, with extravagant, haute cuisine dinners and entertainments. 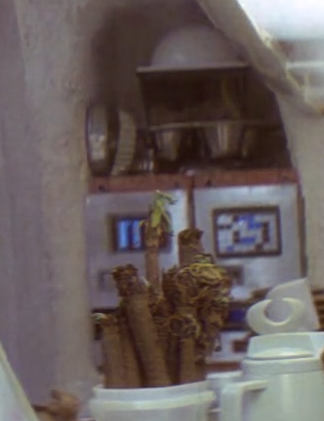 “I was thoroughly entranced, having no idea any such thing existed,” recalls Baker. She began collecting similar bills of fare from other establishments, in other cities. 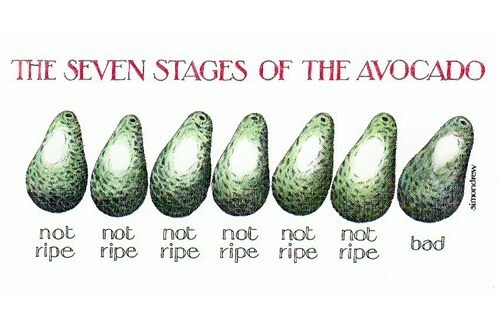 The avocado is a fruit of a different time. The plant hit its evolutionary prime during the beginning of the Cenozoic era when megafauna, including mammoths, horses, gomphotheres and giant ground sloths (some of them weighing more than a UPS truck) roamed across North America, from Oregon to the panhandle of Florida. The fruit attracted these very large animals (megafauna by definition weigh at least 100 pounds) that would then eat it whole, travel far distances and defecate, leaving the seed to grow in a new place. 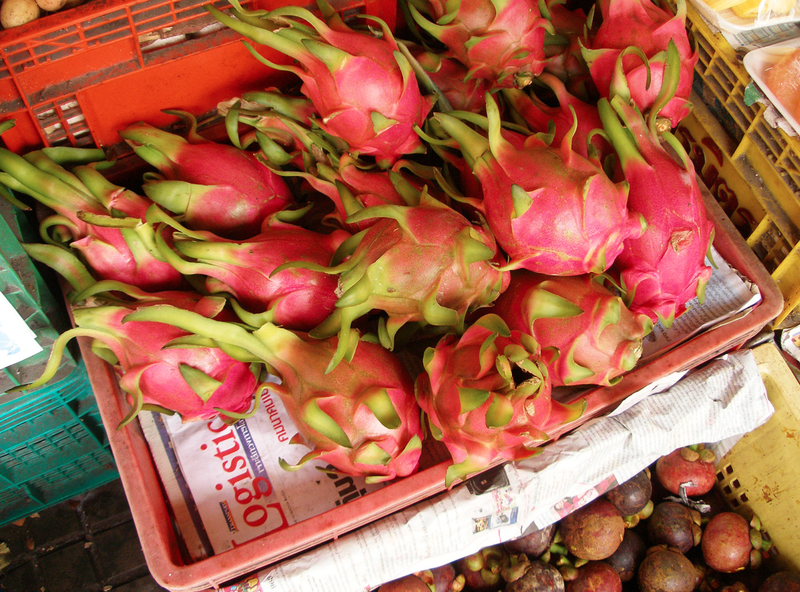 That’s the goal of all botanical fruits, really. Survival and growth via seed dispersal. 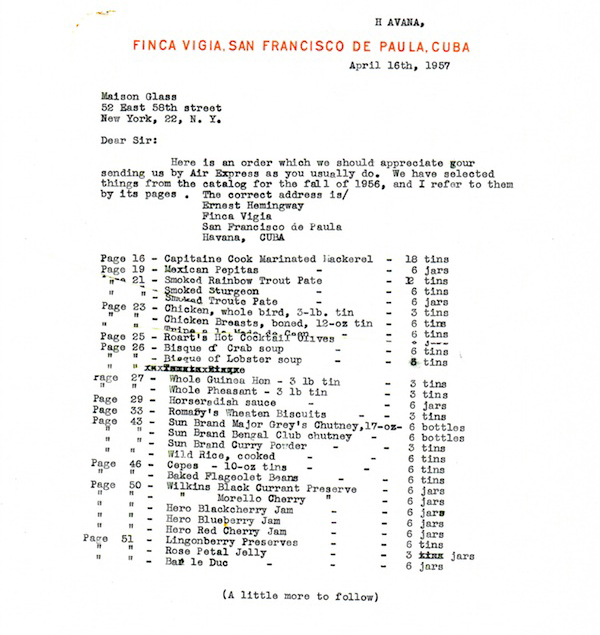 At Paris Review Cheryl Lu-Lien Tan has a wonderful account of digging into new personal papers from Hemingway’s home in Cuba that have been recently archived and catalogued at the JFK Library in Boston. A recipe for soup lists abalone, bean curd, smoked turkey, clam broth, onion, and shredded lettuce as ingredients. Instructions for Chinese vegetables have words underlined for emphasis and advise using “poco” soy sauce.
. . . Among his papers, the burger that captured my imagination was one of his more pedestrian recipes—it was no vichyssoise or white grape soup. But I needed to taste it. Mei Yen powder, however, tripped me up. Perhaps it was a popular spice in the 1950s but in 2013, it was nowhere to be found; it turns out it was discontinued three years ago. But after some conferring with the good people at Spice Islands, I had a recipe for recreating that. Follow the link to get the recipe.